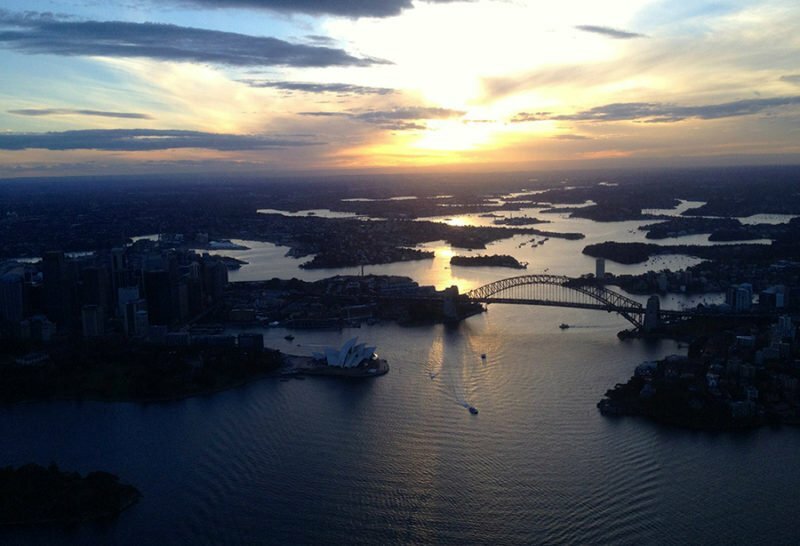 Sydney sunset and twilight helicopter flights over the beaches, city and harbour. 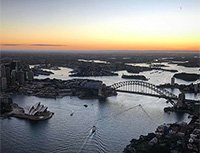 Highlights include The Harbour Bridge, The Opera House, Fort Denison, Taronga Zoo, Watson’s Bay, Bondi (and all the Eastern suburbs beaches as far south as Maroubra)… all timed to give you a view of Sydney bathed in the glow of the setting sun. A panoramic light show appears before you as the city and harbour turn on the night lights in the last moments before the sun sets. This fantastic value package will give you a birds-eye view of our brilliant harbour and a perspective of the City unimaginable from the ground. 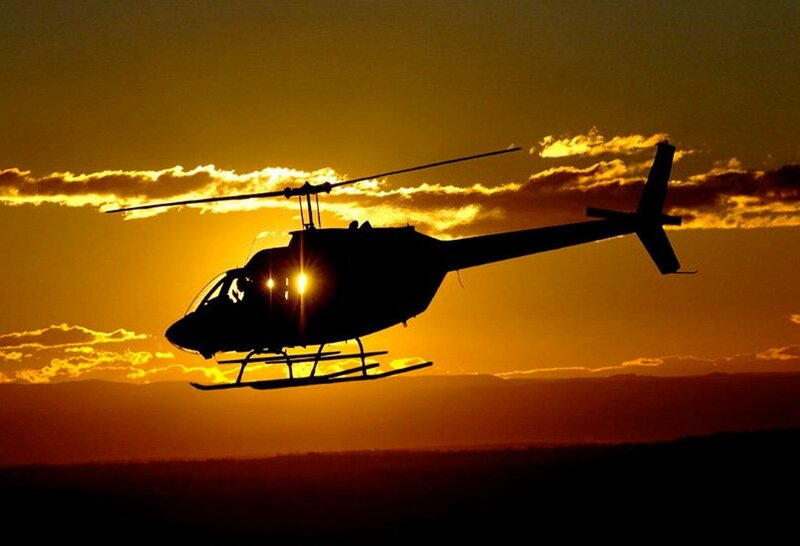 Private Charter bookings for 4 passengers travel in the MD500E helicopter or Bell Longranger. Bookings for 5 or 6 passengers travel in the Bell Longranger helicopter.